As we age hair loss occurs. It is something that happens significantly more in men and women over the age of 40. Hair loss differs between men and women as it usually occurs more at the top and crown of the scalp in men, and in women hair loss is more likely to be spread out across the scalp. Hair loss treatment for men and women is available to reduce the appearance of hair loss as you age and to increase hair growth. Hair loss is something that the majority of people are faced with as they age and it is to be expected in a similar way that wrinkles are. 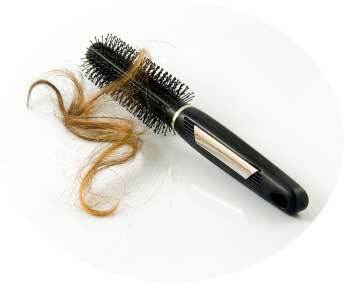 However, there are other causes of hair loss such as medical conditions, alopecia or as a reaction to medication. What are the different types of hair loss treatments available? What type of hair loss treatment is best? Each hair loss treatment works in a different way but they are all equally effective. The type of hair loss treatment best suited to you will depend on the type of hair loss you are dealing with as well as the cause. An initial consultation at the Specialist Skin Clinic will see a professional assess your condition and offer the best course of treatment. How long does it take to achieve results with hair loss treatment? As all hair loss treatments are extremely different and the extent of hair loss is different in each individual, it is difficult to determine when results will be noticeable. A consultation is required to assess your hair loss first. Who will perform the hair loss treatment? All hair loss treatments are carried out by a qualified practitioner and are supervised by Doctor Maria Gonzalez. How much does hair loss treatment cost? Exact prices to be confirmed during your medical consultation for your Hair loss Treatment.